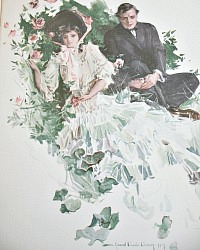 Beautiful romantic book for you, Howard Chandler Christy collector. 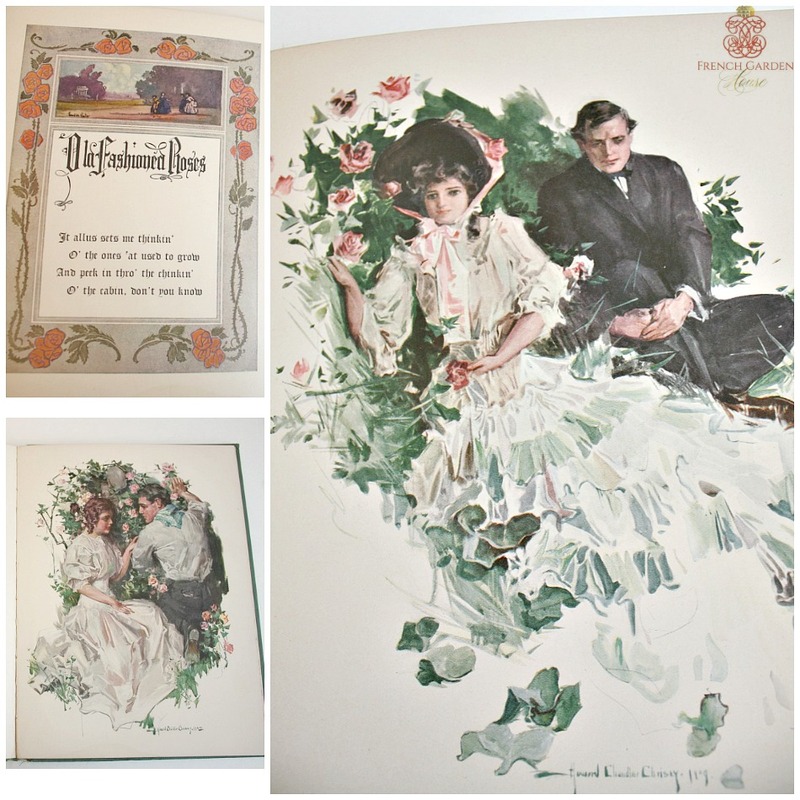 This is an early illustrated printing of Rose Poems by James Whitcomb Riley, published by Bobbs-Merrill company, 1909. 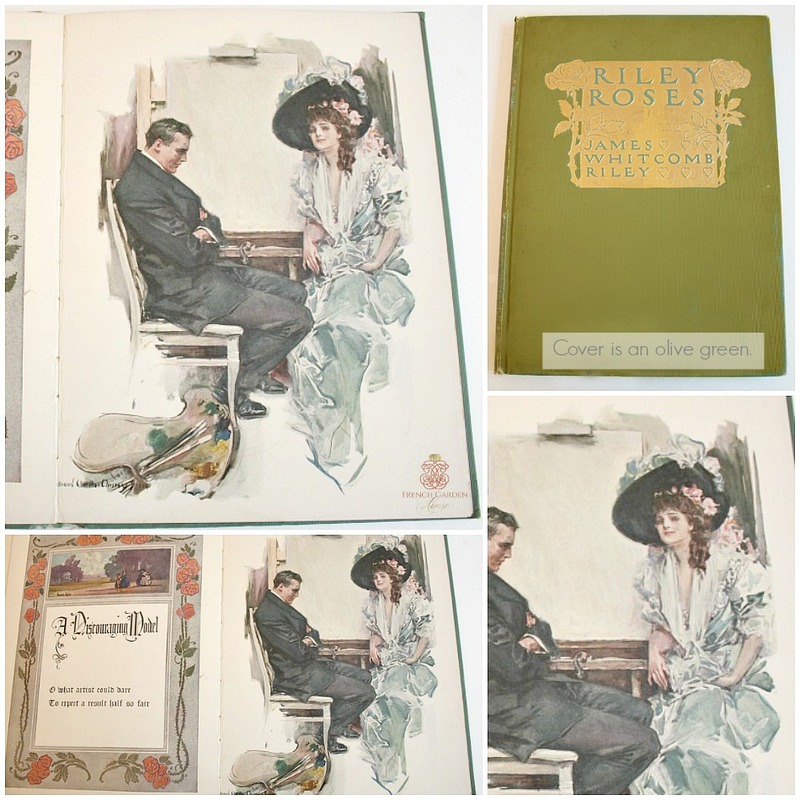 This book has the most gorgeous color illustartions, this is the cleanest, most amazing copy I have ever found@ After Riley achieved much success for his poetry, Howard Chandler Christy created original illustrations for his verses. Green binding with Title in gilt showing two gilt roses, the cover is in gorgeous condition for a book over 100 years old. 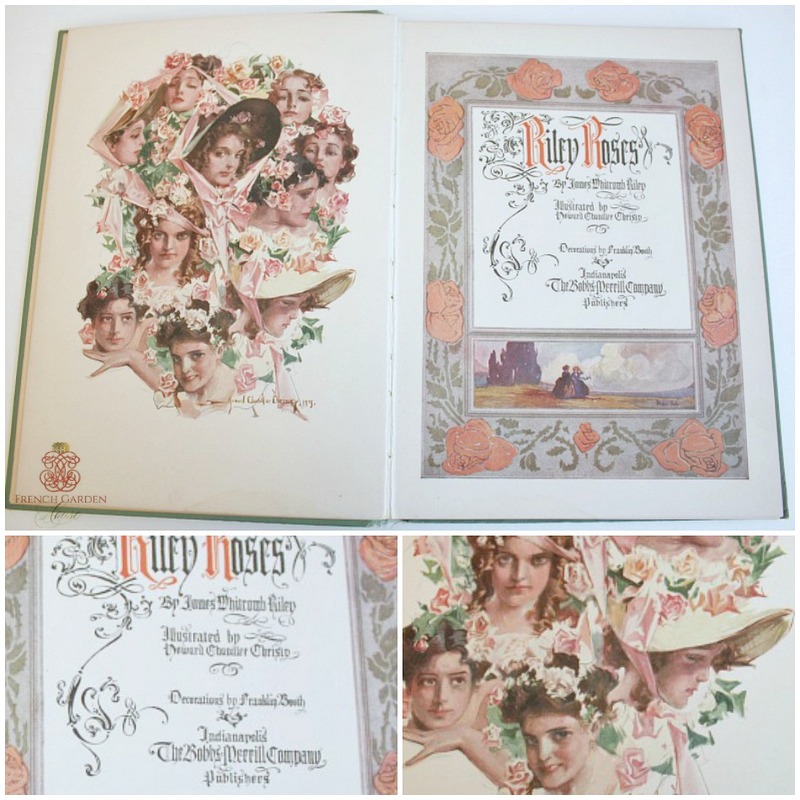 The text pages are clean and bright, the illustrations are exceptional! 20 colored pages. A beautiful book to display with your feminine books collection, or to gift to someone you love! Upaginated.